Knowing and seeing exactly what is happening allows you to manage your business or home more safely and securly and call on whatever resources are necessary (fire, police, etc.) and only as they are needed. 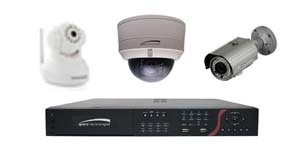 Video and audio surveillence can identify both what is happening and who is involved if the quality is there. New digital cameras, recorders and recording technologies now provide the level of quality that is required for any application. Real-time video and audio is now affordable and convenient. 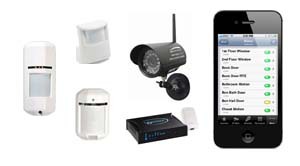 Wired and wireless technologies offer the ability to locate cameras just about anywhere at affordable prices. You can easily view cameras from anywhere on your smart phone, tablet, laptop or computer. Know when and where someone comes and goes, that the cleaning staff is still working, someone is on your property, in the garage, parking lot or lurking around windows or doors, etc. Video motion detection can send alerts, message and video clips directly to your phone, tablet or computer as well as alarming your security system. You can record single images or continuous video to review, provide to your insurance company or assist the police if necesary. Cameras are now available in small, wireless, hidden and blend-in designs. They can be very small and simple or extreme high resolution with full pan, tilt and zoom capablity, two way audio and operate in complete darkness. Eliminate guessing and uncertianity and put your mind at rest. Know exactly what the situation is and put youself in control, safely and securly. A small price for knowing exactly what is happening, when and where. Video surveillence has long been a tool for providing immediate knowledge of what is occuring, at a location, and allowing one to make appropriate decisions and call on the right resources to address a situation. You home or property should not be an exception, in fact, it should be the first place you protect and have control over. Real-time video and audio is now affordable and convenient. You can easily view cameras from anywhere on your smart phone, tablet, laptop or computer. Know when someone comes and goes or the cat or dog have knocked over the plant again, or someone is on your property, in the garage, back yard or ringing a doorbell, etc. Eliminate guessing and uncertianity and put your mind at rest. Know exactly what the situation is and put youself in control, safely and securly. A small price for peace of mind. 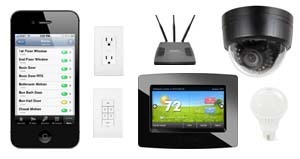 Monitor your entire home and property from any remote device, smart phone, tablet, laptop or computer. Access and control everything from anywhere!